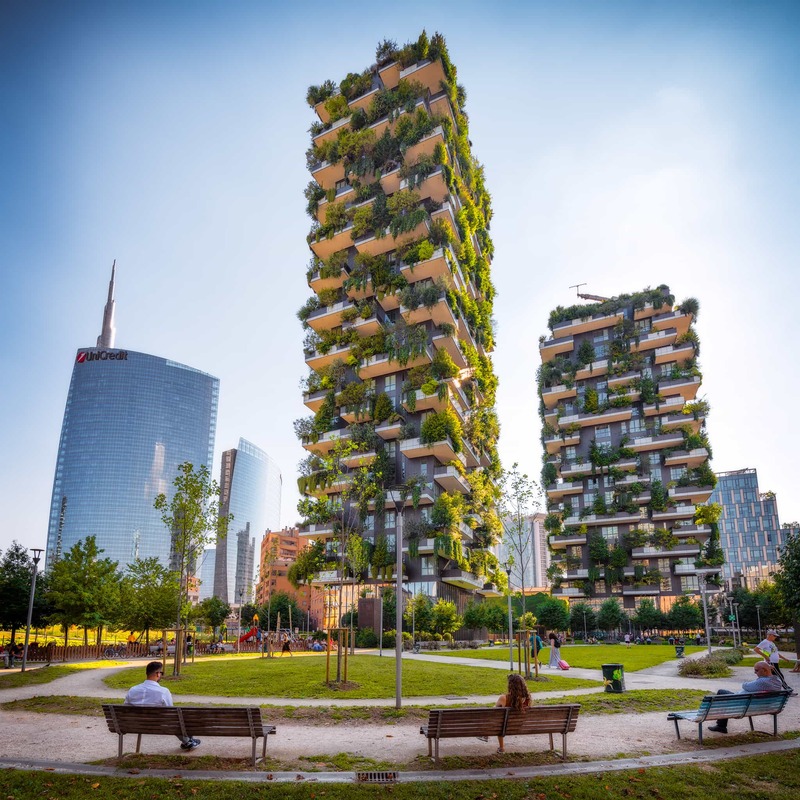 The Bosco Verticale – “The Vertical Forest” was one of the most unique buildings I had ever seen in Milan. There were 900 trees, 5,000 shrubs and 11,000 floral plants that had been imbedded against the two towers. The towers were built in this style, to reduce smog and increase oxygen levels. 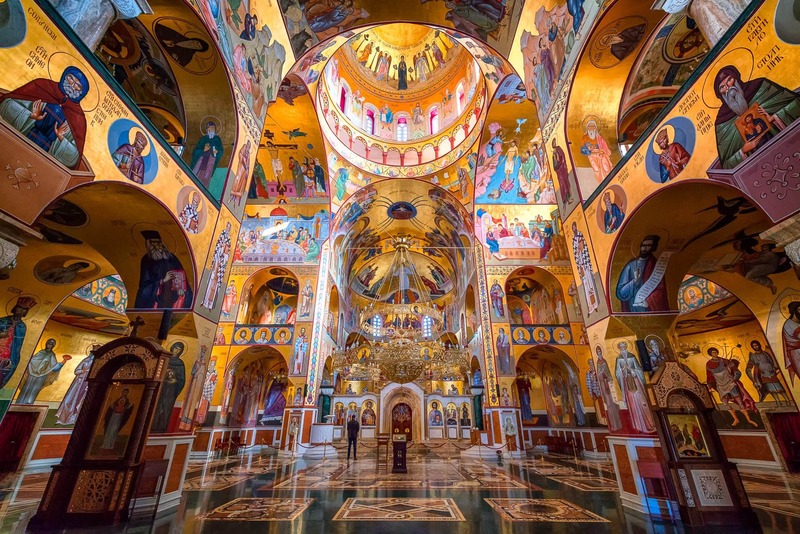 When I entered this Cathedral, I expected golden paintings so commonly seen in old Orthodox churches. My expectations though were only slightly correct… To my own surprise, in one of the paintings, I saw illustrations of Marx, Engels, and Tito… rotting in hell. When I saw it, all the puzzles started to fit in place – I was surrounded by paintings of relatively “modern” people who had a great deal of influence on politics and history of Montenegro. Looking at this cathedral from the outside, I would guess that it is at least a century old. The Cathedral of the Resurrection of Christ in Podgorica, the original name rendered: Saborni Hram Hristovog Vaskrsenja i Crkva Svetog Spasa, was accomplished only in 2013. 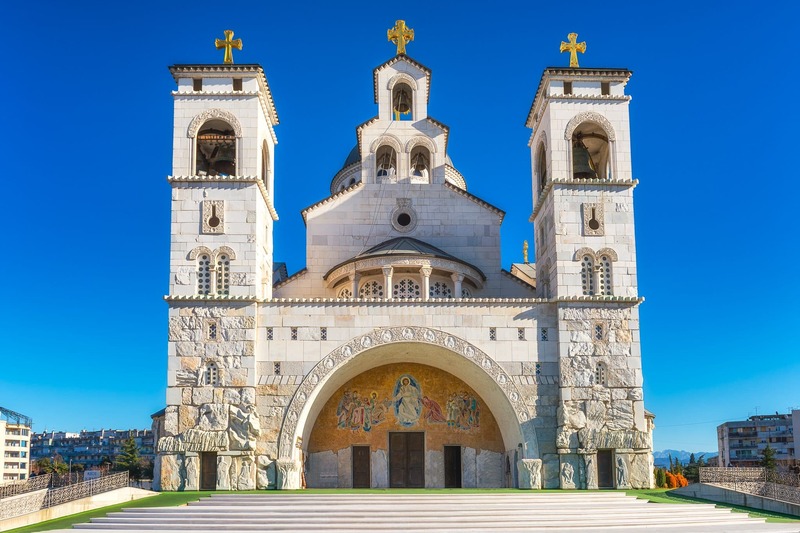 The exterior design follows the style of the traditional Byzantine monuments such as The Cathedral of Saint Tryphon in Kotor, which would suggest that it was likely built at the same time, in the 12th Century. 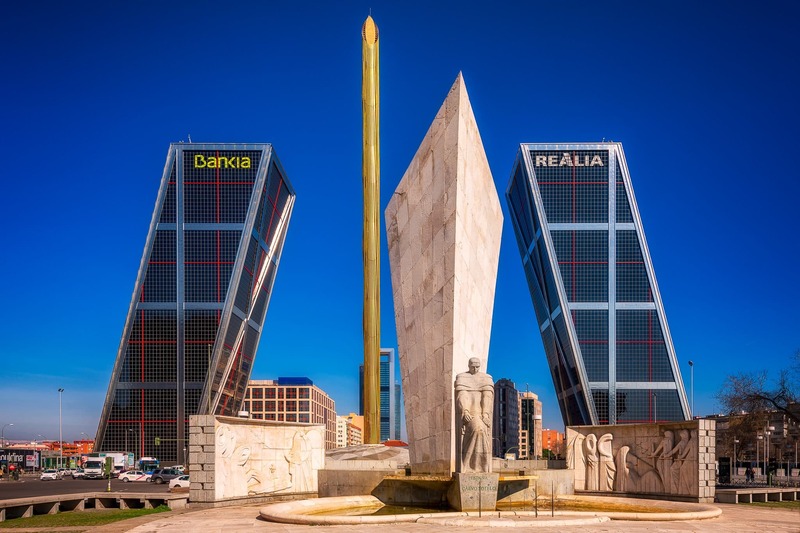 “Puerta de Europa” – the “Gates to Europe” in Spanish are also known as KIO towers. Each tower is 114m high and they are the second tallest twin towers after the “Torres de Santa Cruz.” They were both built with the initial thought of being 15 degrees at an incline, the same way they were made back in 1996. Once finished, they were the first inclined skyscrapers in the world. 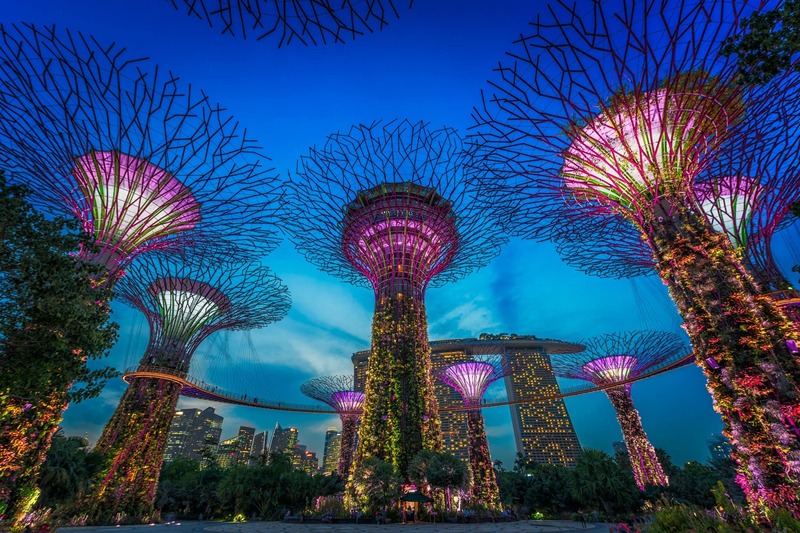 While visiting Singapore we were impressed by many things, but the Gardens by the Bay were the culmination of our tour. Daria and I went there during the daytime and then we waited for my favorite blue hour to take photos. The trees you see in the picture are illuminated when the sun goes down. Then the light-music show begins, with bright colors that change according to classical music pieces.